Give Me a Reason "Riesen"
We have John’s testimony of how Christ became like His Father and received the fulness of His Father’s glory. We, too, may become like our Heavenly Father, one step at a time, grace to grace. 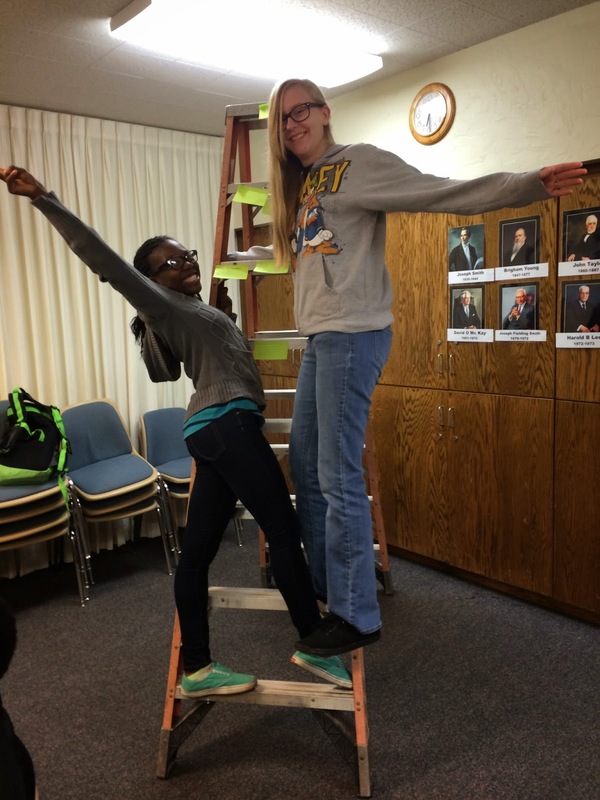 To demonstrate this principle, I set up a ladder in our classroom and asked a student to climb to the top. At first, the student was very willing, until I told him he could not use the steps. We discussed how difficult this would be. 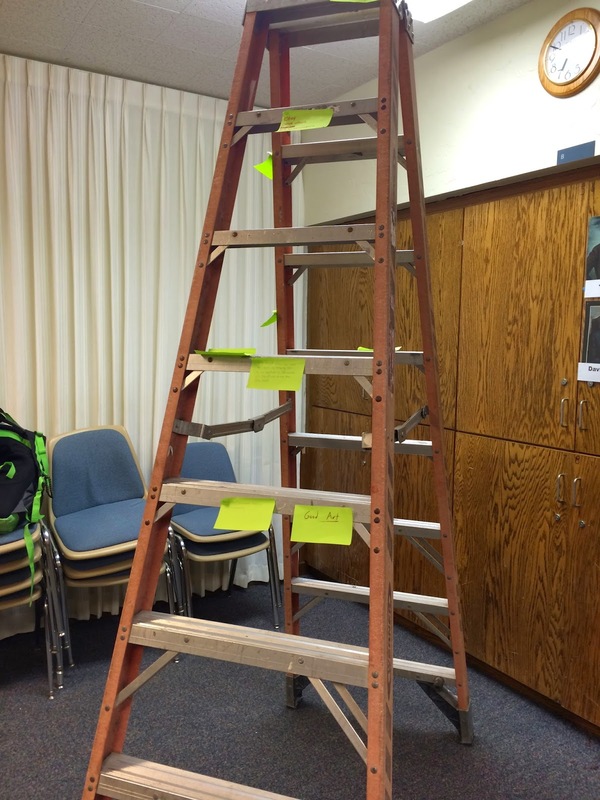 After some discussion, I had the students write on sticky notes the steps they need to take to receive the fulness of our Heavenly Father’s glory. 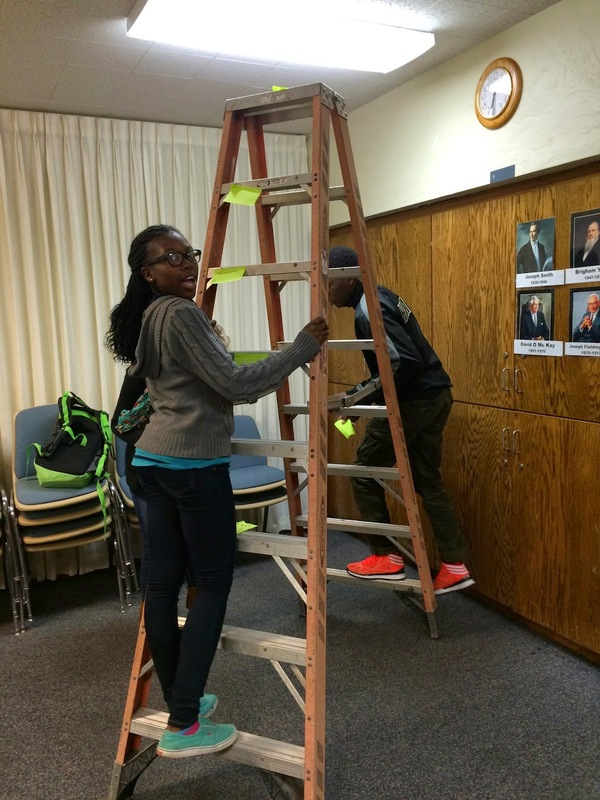 We discussed the things they wrote down and then they placed the notes on the steps of the ladder, emphasizing the importance of each step. As part of the discussion, we read this quote from the Prophet Joseph Smith. If you dont have access to a ladder, a small step stool will work or you can place stepping stones on the floor and ask them to go from start to finish without stepping off the stones, etc. 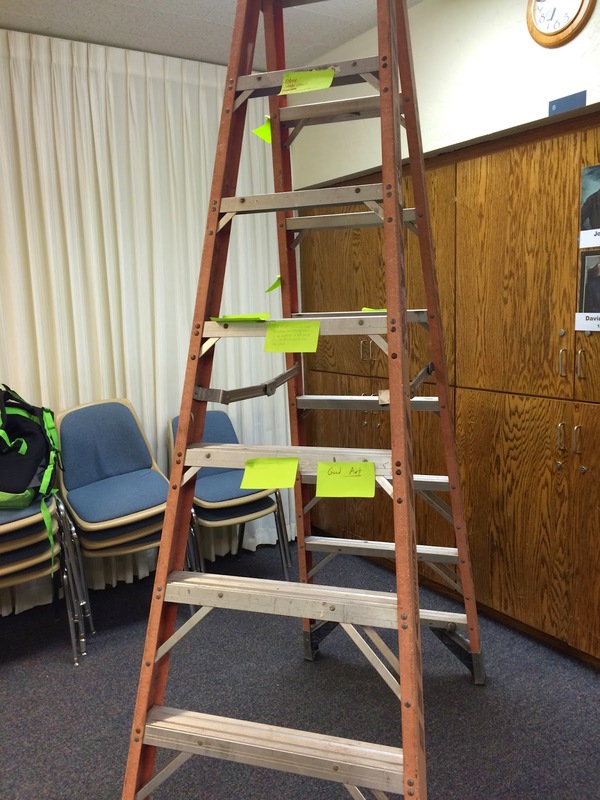 The students can label the stones just as we labeled the steps on the ladder. There are lots of adaptations. “It is not wisdom that we should have all knowledge at once presented before us; but that we should have a little at a time; then we can comprehend it. 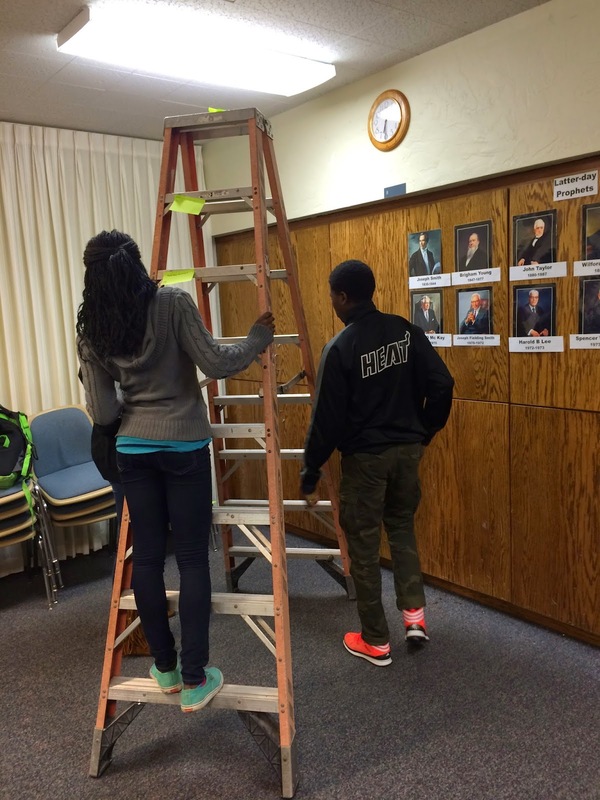 When you climb up a ladder, you must begin at the bottom, and ascend step by step, until you arrive at the top; and so it is with the principles of the gospel—you must begin with the first, and go on until you learn all the principles of exaltation. But it will be a great while after you have passed through the veil before you will have learned them. It is not all to be comprehended in this world; it will be a great work to learn our salvation and exaltation even beyond the grave” (Teachings of Presidents of the Church: Joseph Smith , 268).